The Dream Warrior: The Game is ON! "I think we need to make a suicide pact," I said to Adam. He turned his head slightly and squinted a little, meaning he didn't exactly understand what I meant. We were sitting in the courtyard of Prezi's Budapest offices, where I was being treated to the awesome buffet lunches the company provides its employees. We were surrounded by tables full of more-or-less hip looking more-or-less young people (everyone looks young to me anymore), many with digital devices next to their plates. The subject of our lunch was writing. Adam wanted feedback. I wanted motivation. The only way to make progress at writing is to write. Right? Ergo, my suggestion of a suicide pact. "We agree to posting on our blogs at regular intervals, let's say weekly. We announce to people that we're doing it, and then there's social pressure to maintain the blog. If you don't publish on the appointed day, then you're not only letting yourself down, or not living up to some lofty ideal, you're letting down a friend whose face you'll have to look into when you explain that you didn't live up to your mutual obligation." I could tell Adam liked it, but he was a little slow to agree. Last week I wrote him an email. ...let's get this ball rolling. I hereby challenge you to blog once a week, on the same day of each week, between midnight at the beginning of that day until midnight of the following day. We must announce on our blogs that this is our plan; that we will publish weekly on the same day. It does not matter how long the posting is. Even a few sentences making up a short paragraph. We will refer to one another's blogs in the first posting announcing weekly publishing. I choose Wednesday. It would be good if you would publish on Wednesdays too, but you can choose another day. What would you think of inviting others to join? You can find Adam's blog here. 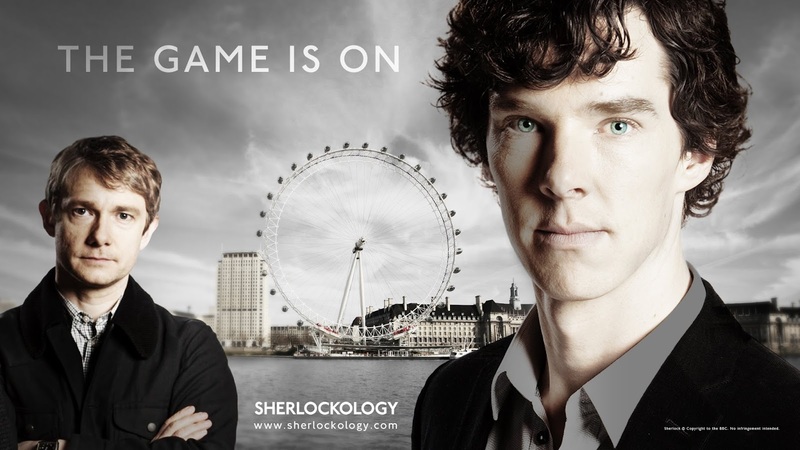 As BBC's Sherlock would say: "The game is on!"